As we kick off Holy Week, we commemorate the triumphant arrival of Christ in Jerusalem. The St. Joseph House visited the Shrine of Christ’s Passion on Saturday before Palm Sunday. 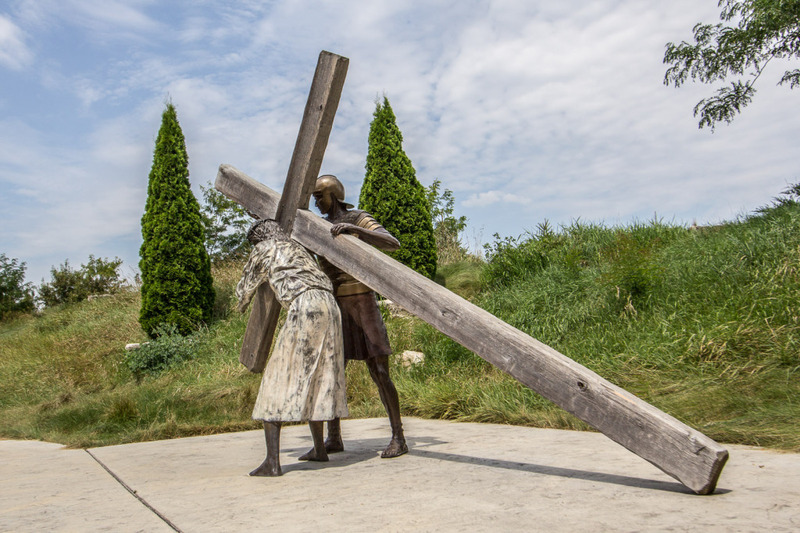 The Shrine is made up of 40 life-size bronze statues that make up the Stations of the Cross. It is a unique way to meditate and experience Christ’s Passion. All of us found it spiritually rewarding, and the road trip was a lot of fun! The Holy Cross community often takes trips to help us deepen our prayer life. It is a nice way to break up the monotony of classes and homework.